Last week we introduced you to the leaves of absence available to Ontario workers to help them cope with various life events from birth to death. This week we will jump right in and give you an overview of four types of leave employees can take when faced with serious medical emergencies in their immediate family. Leaves of Absence: Who is ‘Family’? Families come in many shapes and sizes and the ESA recognizes this in its legislation regarding leaves of absence. Family, as it relates to the leaves of absence we are about to discuss, is a fairly broad term that includes most close relatives (by birth, marriage or adoption). 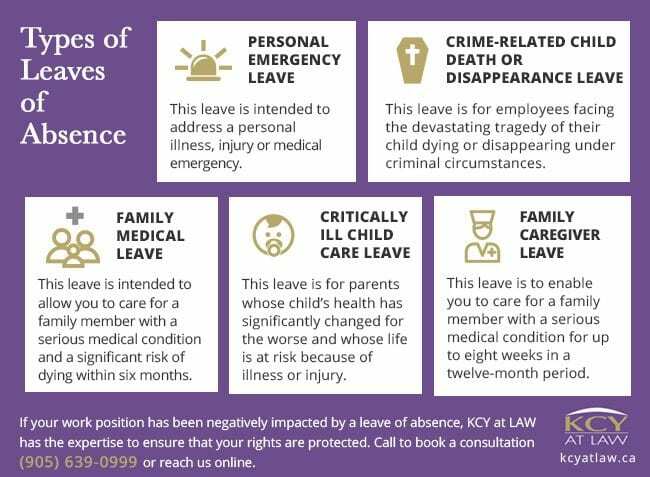 Now that we know the people for whom you are entitled to take these various leaves of absence, let’s take a look at five types of leave and what they entail. Family caregiver, family medical, critically ill child care, personal emergency and crime-related leaves have a degree of overlap and you can be entitled to more than one of these leaves for the same event. This leave is intended to address a personal illness, injury or medical emergency. You can also take this leave of absence in the case of the death, illness, injury or medical emergency of a family member (see above). Under this leave, you are entitled to take up to 10 days off in every 12-month period. These days do not need to be consecutive but even a half day off will count as a full day of leave. Importantly, this leave is only accessible to Ontarians employed by a company or business with over 50 employees. This leave is to enable you to care for a family member with a serious medical condition for up to eight weeks in a twelve-month period. As with a personal emergency leave, these eight weeks do not need to be taken consecutively. However, taking any number of days off in a week for this leave will count as one week of leave. Taking a family caregiver leave requires a certificate from a medical professional (i.e. physician, registered nurse or psychologist) stating that your family member has a serious medical condition though it does not need to state what said condition is. You can find the necessary certificate for your physician. This leave is intended to allow you to care for a family member with a serious medical condition and a significant risk of dying within six months. You are entitled to up to eight weeks in a half-year (26-week) period for this leave. Again, these weeks do not need to be consecutive and, as with the other leaves of absence, taking just one day off in a week counts as an entire week of leave. This leave also requires a certificate from a physician, registered nurse or psychologist stating that the family member has a serious medical condition and a risk of dying within the next 26 weeks. This leave is for parents whose child’s health has significantly changed for the worse and whose life is at risk because of illness or injury. The child may be the employee’s biological, adopted, step or foster child but must be under the age of 18 to take this specific leave. This leave can last up to 37 weeks in a one year (52 week) period. These weeks do not need to be taken consecutively and this leave can be extended for another 37 weeks. This leave requires a certificate that states that your child is critically ill, requires parental care and sets out the period of time for this care. This leave is for employees facing the devastating tragedy of their child dying or disappearing under criminal circumstances. For an employee to qualify for this leave they must have been with their current employer for at least six months prior to the tragedy. Under this leave you are entitled to 104 weeks (two years) for the death of your child or 52 weeks (one year) for their disappearance. 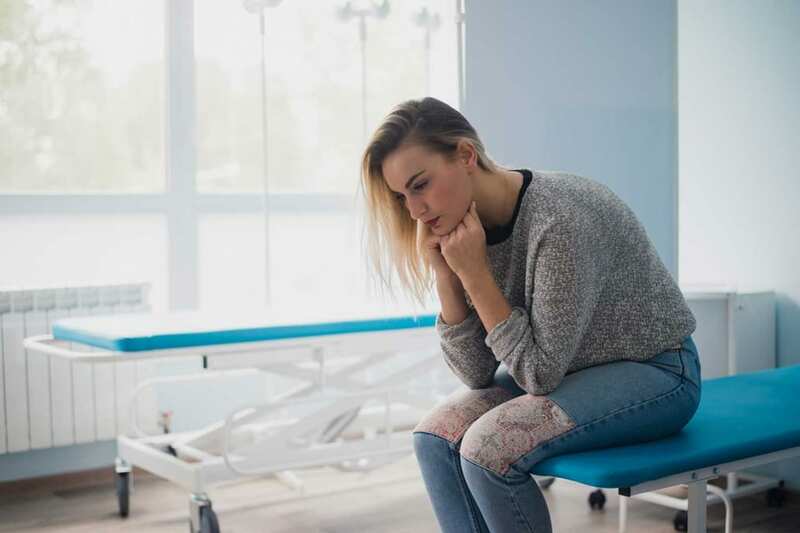 If your work position has been negatively impacted by a leave of absence, KCY at LAW has the expertise to ensure that your rights are protected. Call to book a consultation on (905) 639-0999 or reach us online for more info.